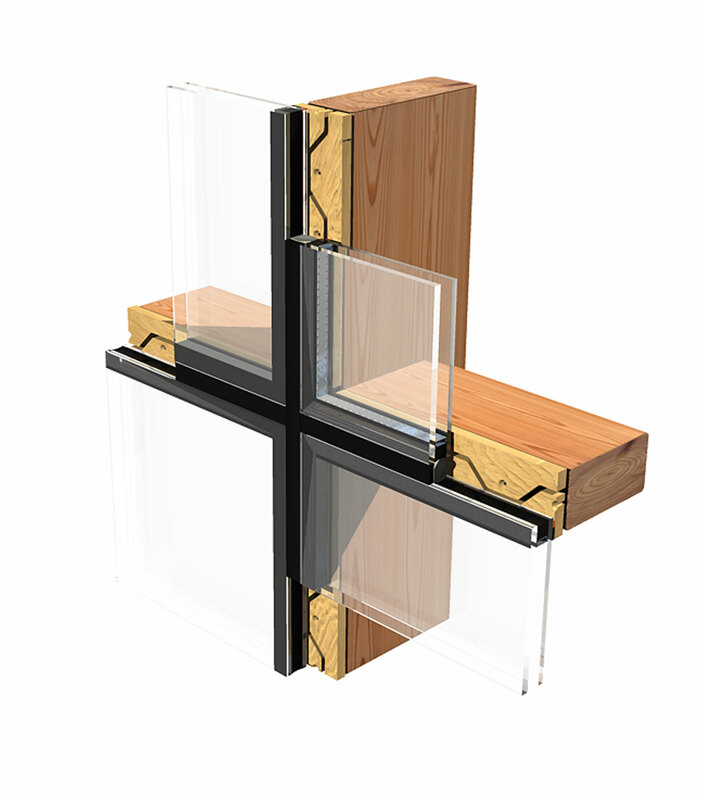 The UNIGLAS® | FACADE timber-glass-composite elements (HGV) open up completely new perspectives to architects and construction engineers when it comes to construction planning. Due to its design, UNIGLAS® | FACADE offers facades with almost perfect all-glass appearance without conspicuous aluminium frame. 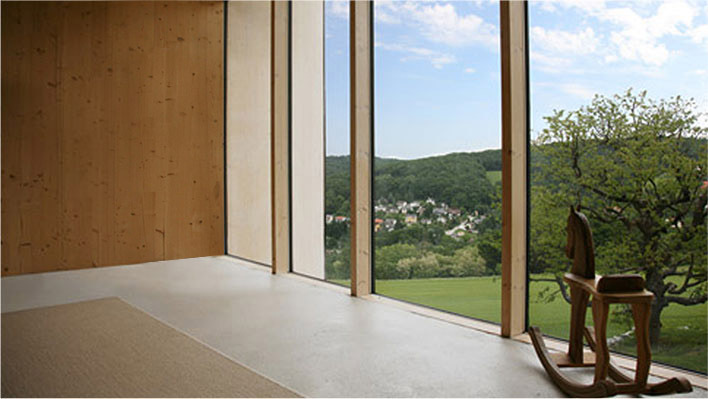 It consists of three main elements: an insulating glass pane, a patented wooden glazing tape and a special adhesive, which connects both. In order to achieve calculated adhesive geometry (adhesive surface, adhesive height), the wooden glazing tape (birch veneer plywood in accordance with EN 636-3 S in accordance with 139868 (EN 6369) of appearance class S (II) in accordance with EN 635-2) is first fixed with double-sided adhesive tape as distance holder on the glass pane. The special adhesive is then used in the joint created and removed along the edges of wooden glazing tape. The elements are completely prefabricated and can be quickly and easily assembled at construction site. The assembly of UNIGLAS® | FACADE timber-glass-composite element is done directly on a transom/mullion construction made of laminated timber. Before attaching the HGV element, the wooden frame is protected against moisture with a sealing tape. 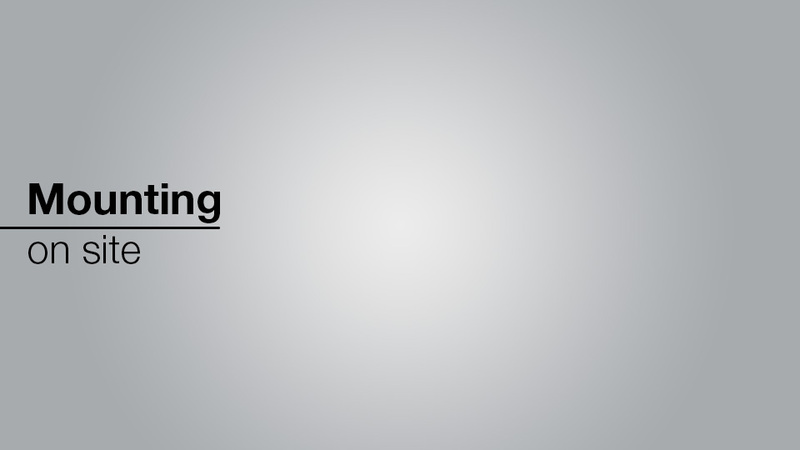 Subsequently the air joint is filled with a PE round cord and sealed with OTTOSEAL® S 7. It is done! If there is a requirement to replace individual elements later, the elements can be easily removed from the substructure and replaced. The facade is as good as new within 45 minutes. UNIGLAS® | FACADE is prefabricated and ready for assembly. You only need to ensure that it is fixed to the substructure at the site and sealed properly. The assembly time of UNIGLAS® | FACADE is thus reduced to a bare minimum and the same is applicable for any later replacement of individual elements. A genuine competitive advantage for tradesmen when compared to conventional metal constructions! Numerous application possibilities of this innovative system range from extensions or winder garden to multi-story facades. Reduction of primary energy needs by almost 50 % when compared to aluminium profiles - it is ideal for energy-saving homes. Wood as renewable raw material and from regional production. Outstanding heat insulation (UCW up to 0.69 W/m2K). Maximum use of solar energy (light, heat). Quick and easy assembly with conventional tools. Quicker and easier replacement of individual elements, e.g. when repairs are required. 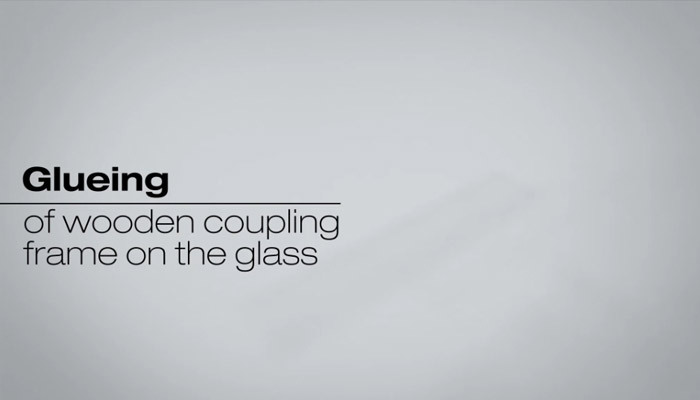 visually continuous glass surface from outside with minimal joints.